With over 40 years of industry experience, our Recruitment Managers pride themselves on their friendly, professional and pro-active approach to finding the ideal opportunity for candidates and the appropriate solution to the recruitment needs of our clients. 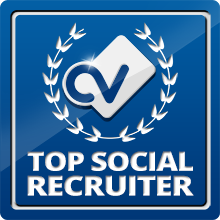 We successfully recruit across the UK, Ireland and more recently some fantastic International roles for all Health & Social Care Opportunities including Medical Directors, GP’s, Specialty Doctor’s, Consultant roles, Nurse's (All levels & specialisms), Operation Directors, Hospital Management, Care Home Managers, Psychologist’s plus many more areas within the Health & Social Care sector. We are an approved provider of staff for over 30 nationwide independent healthcare providers covering over 2000 care homes, units, and hospitals within a variety of different fields. Over the past 6 months we have successfully placed over 100 candidates into various roles for our clients, these positions have ranged from Director level roles to Nurses along with entry level Care & Support Staff. Social Care Direct provides a bespoke service, taking time to establish the needs of Clients and Candidates in order to tailor our approach to come to the most efficient and suitable resolution (as evidenced in our testimonials!). Through our head hunting, search & selection techniques along with recommendations, we attract top quality candidates. Once candidates have registered with ourselves, many often stay exclusive as we explain our processes; along with taking the time to establish their needs and ensuring them that we will do the ground work in order to secure them their next career move, allowing them to focus solely on being the best within their current field of work and offer our fast and friendly referral services to all of our candidates. Through working with a number of the UK’s largest Private Healthcare companies and Cosmetic Surgery groups, we have built up a large number of professional industry specific candidates that are exclusively registered with ourselves, which is just one of the benefits to our clients of working with alongside us. To view the current vacancies we are recruiting for please click the link below.